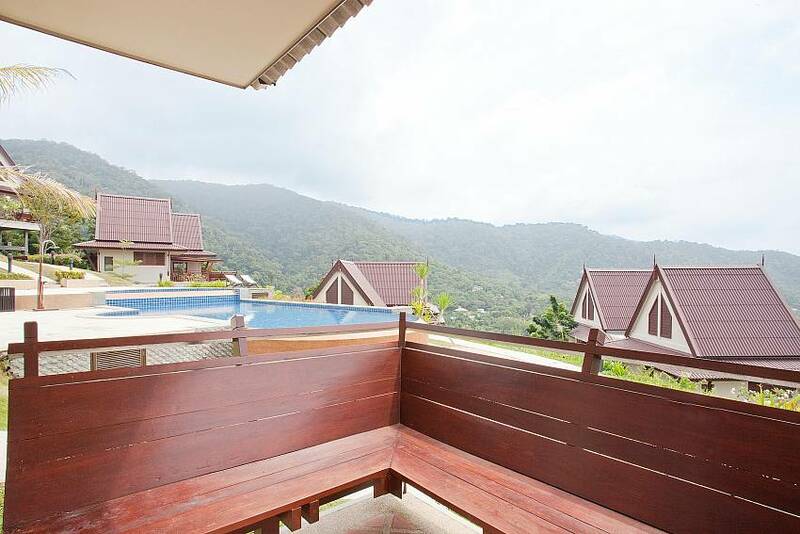 Baan Som means ‘Sweet House' and this elegant two-bedroom villa on a hillside more than lives up to its name. The fabulous views here are not just from the wide terrace, as most of the interior areas also enjoy the sight of the ocean. Especially lovely are sunset views over Koh Phi Phi in the distance. 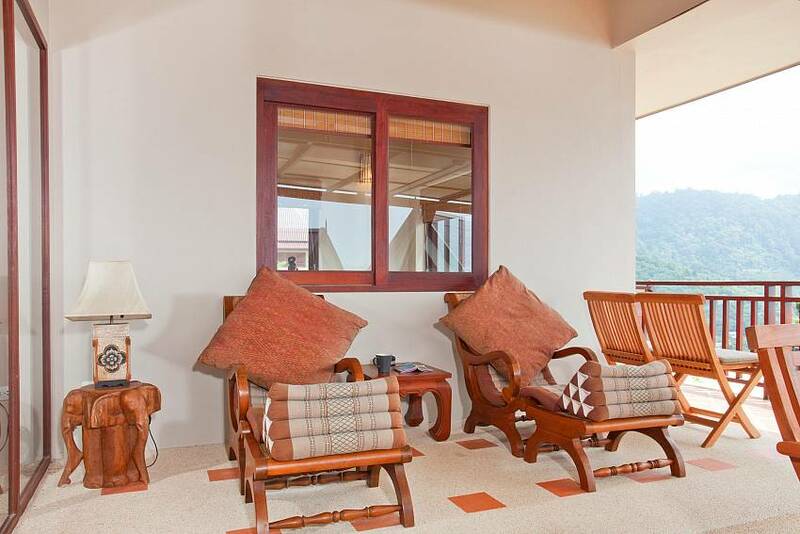 High ceilings, wood floors and Thai furnishings and textiles give the villa a super-comfortable aesthetic. 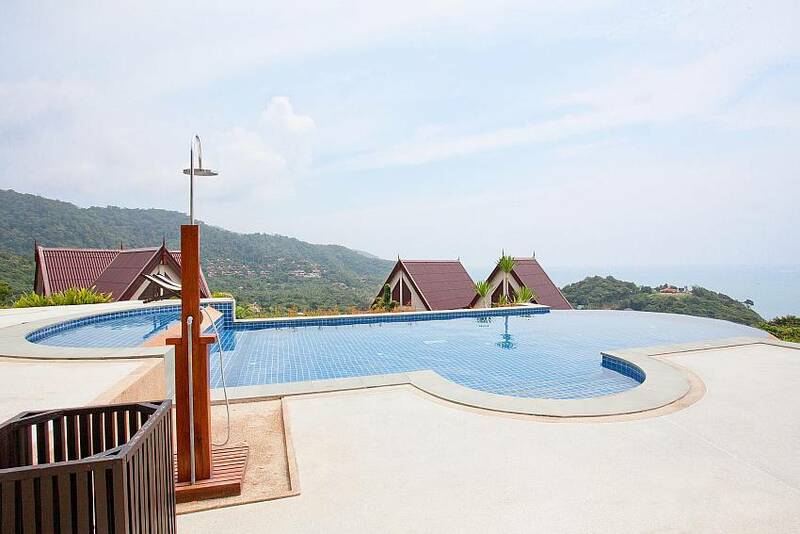 When you can tear yourself away from your hideaway, you are only 600 meters from the beach at Ba Kantiang Bay. You also have the use of the estate's large communal pool in its majestic location overlooking the ocean. 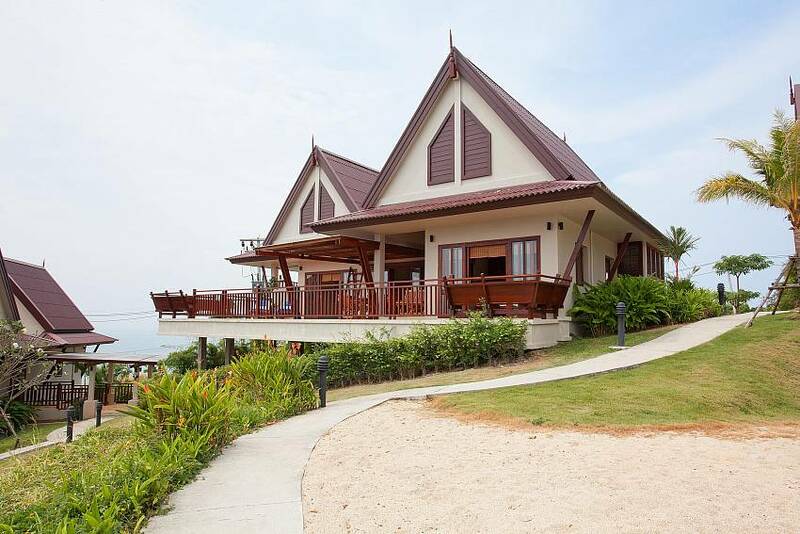 The villa is located on a peaceful estate overlooking Ba Kantiang Bay. The beach is just a short walk, or you can use the shuttle service from the estate. A 15-minute drive to the south you will find Mu Koh Lanta National Park. Around 3km away there is a jungle trail with a waterfall. Staff at the estate can assist you with any touring plans and with orders for food takeaways. 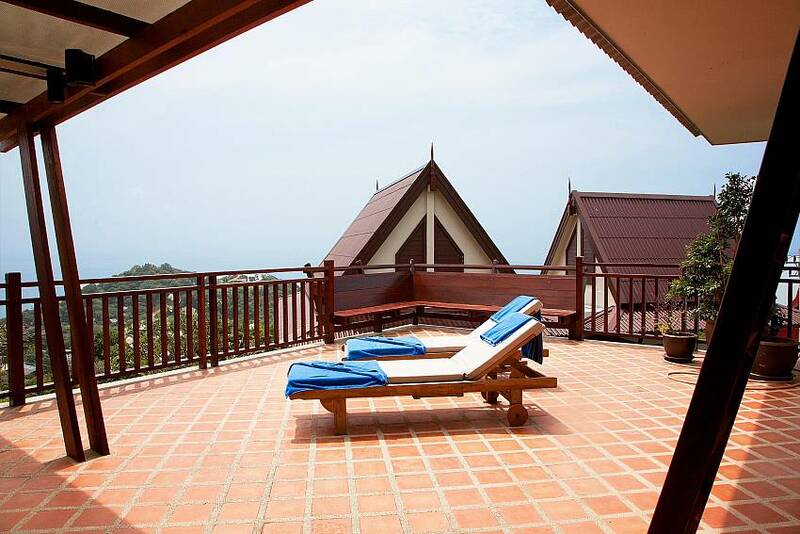 Browse our delightful range of Koh Lanta villas here. 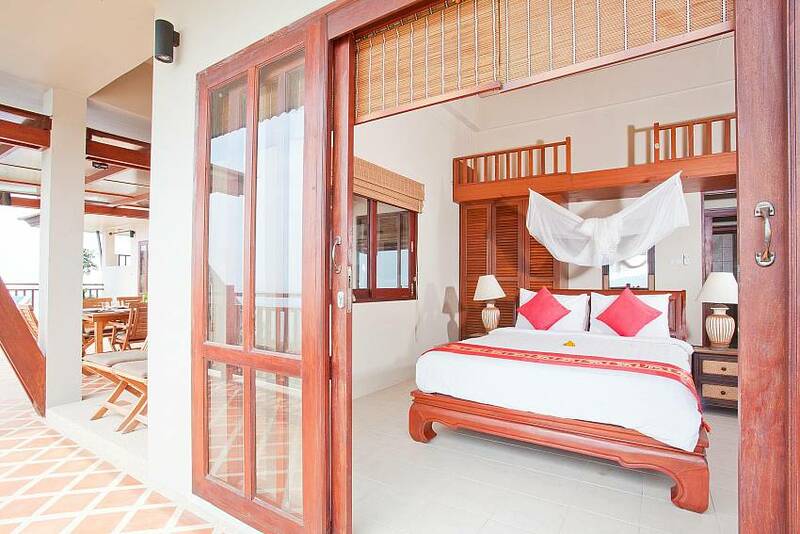 The villa’s two bedrooms are charmingly furnished and have queen-size beds and wonderful ocean views. 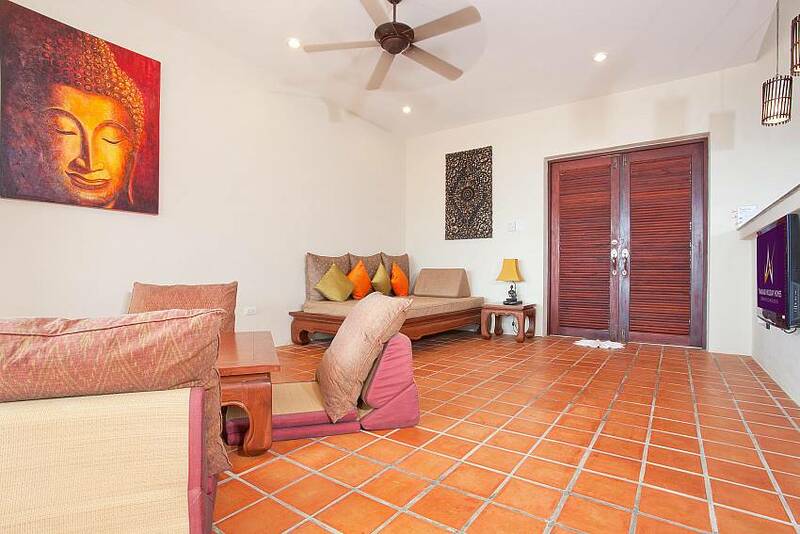 Both rooms have air conditioning but you may prefer to enjoy the tropical ocean breeze. 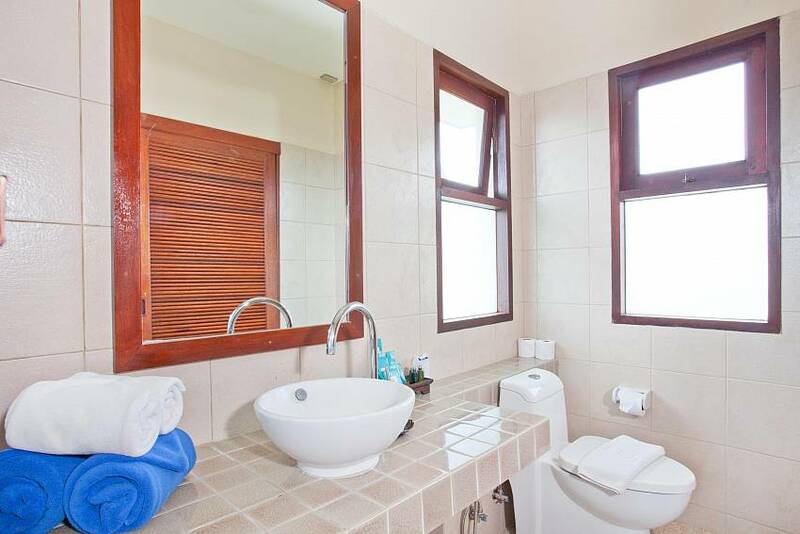 Both have en suite bathrooms. 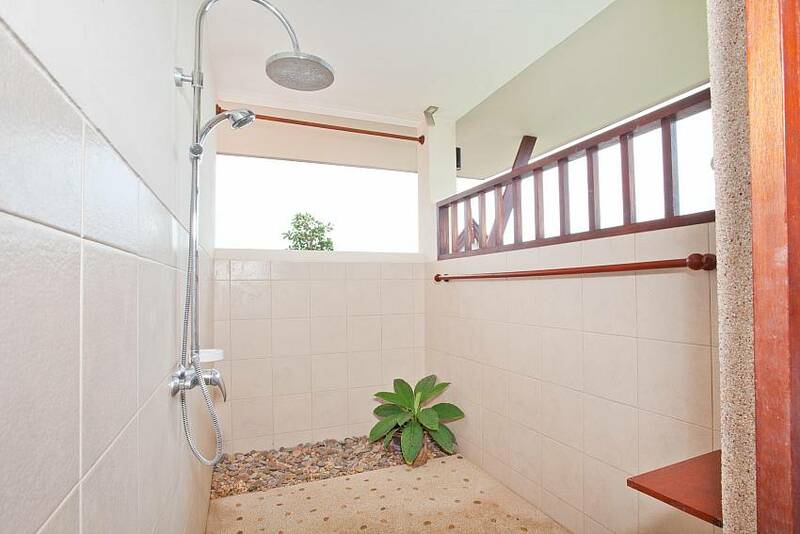 The villa’s two bathrooms are modern and are en suite with the bedrooms. 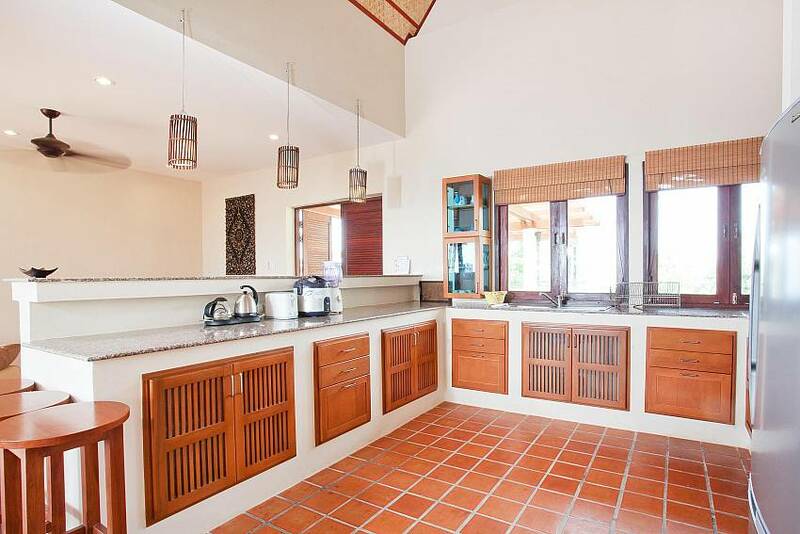 The modern kitchen is equipped with many appliances for easy self-catering, including a refrigerator, gas hob, oven, and microwave. There are views of the garden and ocean.. The living area is chic and comfortable. It has a TV which has Internet access. There is a DVD player for watching holiday movies. 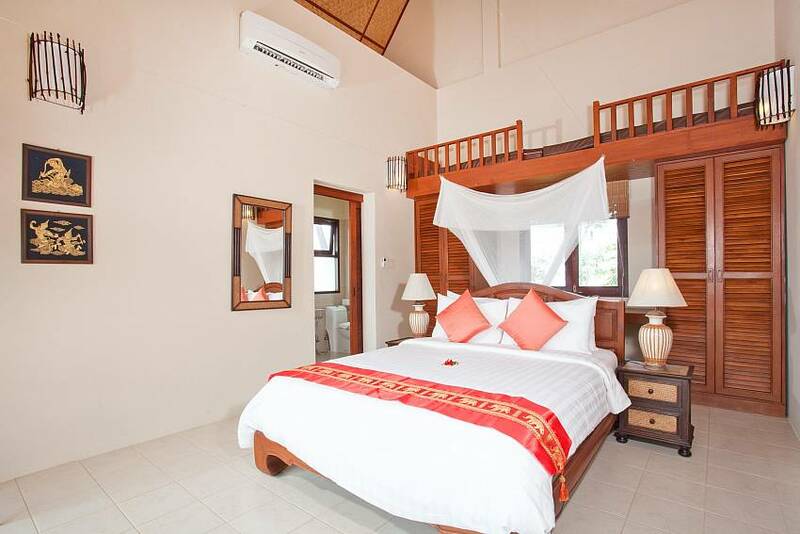 There is also extra bed space here which means the villa can actually sleep six persons. 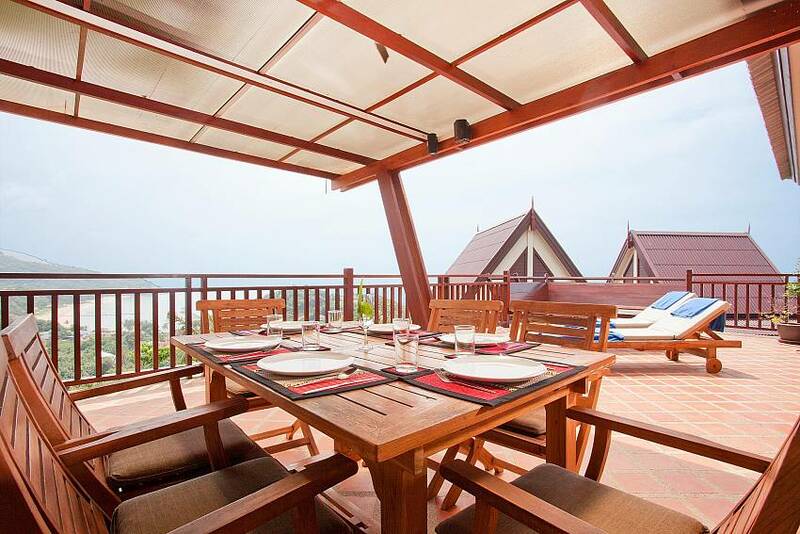 Dine in high style on the cool covered terrace where you enjoy fabulous views and the refreshing sea breeze. The large terrace has a table and chairs for eight persons.